The princely state of Kapurthala is often referred to as the ‘Paris of Punjab’ due to its architecture. The monuments and gardens in the city are representative of the Indo-Saracen and French style of architecture. Kapurthala was ruled by the Ahluwalia Dynasty before it was founded in the 11th-century by the Bhati Rajput clan from Jaisalmer in Rajasthan. Which explains the blend of styles in the structures of the city. The city mayn’t be in the limelight like Amritsar and Chandigarh, but it definitely has much to offer to the traveller. One of the most important attractions here is the Jagatjit Palace; the residence of the erstwhile Maharaja of Kapurthala, Maharaja Jagatjit Singh. The palace was built in 1908, modelled after the Versailles Palace. The Jagatjit Palace is now inhabited by the people of the Sainik School to train boys for National Defence Academy. Another one in the line is the Elysee Palace that was built in 1962 by Kanwar Bikram Singh, again in the Indo-French style of architecture. The palace is famous in the city for its magnificent façade and monolithic structure. However, this structure has now been converted into the MGN School. Those who like to be out in the open, connecting with nature, the Kanjli Lake which is formed as a part of the man-made wetland, is a great place to head to. It is a famous picnic spot with an amazing surrounding. This is a great place for avian photography as well. Then there’s the Moorish Mosque – which was commission by Maharaja Jagjit Singh Bahadur and was completed in the year 1930. The mosque is a superb example of religious tolerance during the time of the Maharaja’s reign in Kapurthala. Panch Mandir, a bright white structure, was dedicated to several Hindu deities. Interestingly, due to its marvellous architecture, it finds its replica in one of the Museums in Lahore in Pakistan. 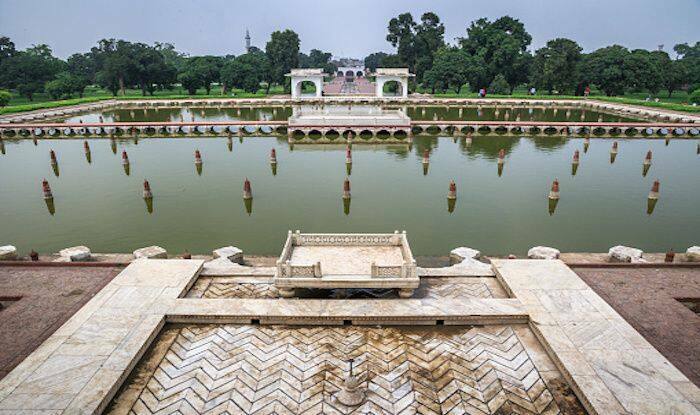 Located in the heart of the city, Shalimar Gardens are a hugely frequented spot that provide escape from the bustle of the city. The garden contains the cenotaphs of the royal family of Kapurthala and are characterised by marble obelisks in the chambers made of red sandstone. Kapurthala is one of the important cities of Punjab and owing to that very reason, it boasts of a well developed rail and road network. Though it has no airport of its own, it is easily accessible from Amritsar Airport.